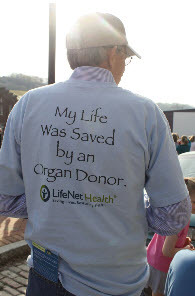 LifeNet Health depends on involvement of volunteers to help us share our mission of saving lives, restoring health and giving hope. Each year, we have dozens of opportunities to share LifeNet Health's important mission to the public. Volunteerism is critical to the mission of our organization, but there are multiple ways to get involved!